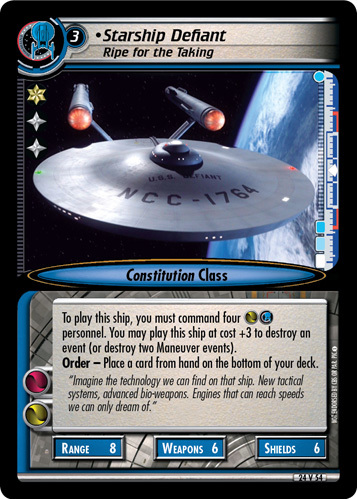 To play this ship, you must command four personnel. 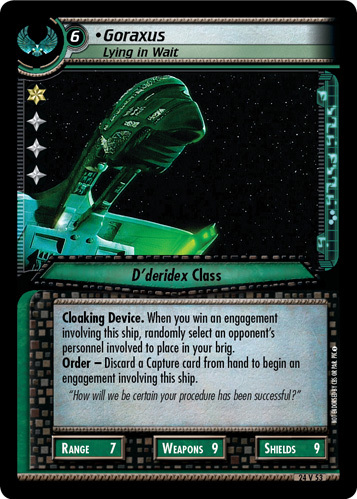 You may play this ship at cost +3 to destroy an event (or destroy two Maneuver events). Order - Place a card from hand on the bottom of your deck. "Imagine the technology we can find on that ship. New tactical systems, advanced bio-weapons. Engines that can reach speeds we can only dream of." 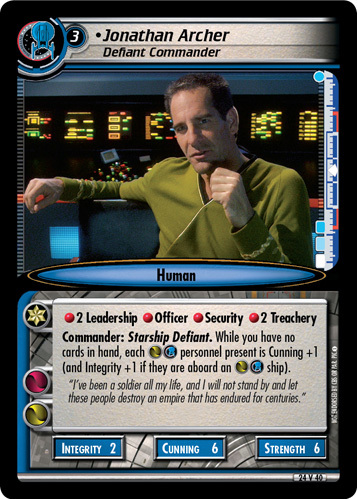 Image Source: Enterprise: "In a Mirror, Darkly (Part II)"